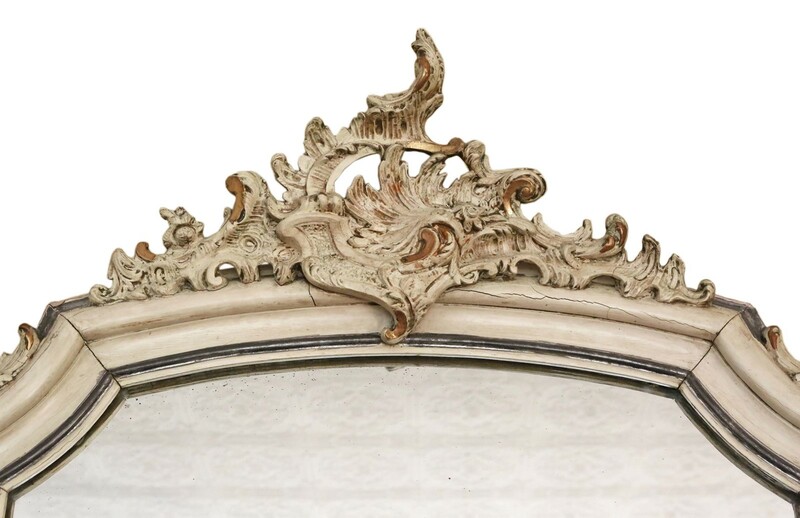 Antique large quality 19th Century French paint decorated Rococo overmantle or wall mirror. 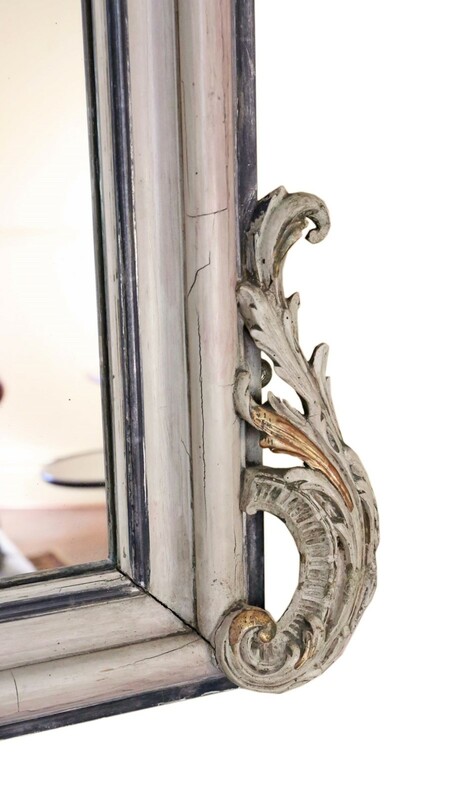 Period cream paint finish with gold and silver highlights. 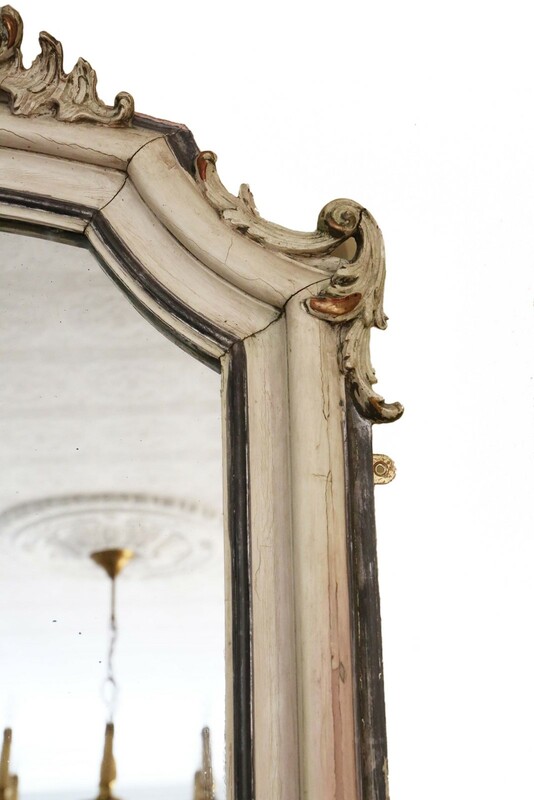 This is a lovely mirror, that is full of age, charm and character. 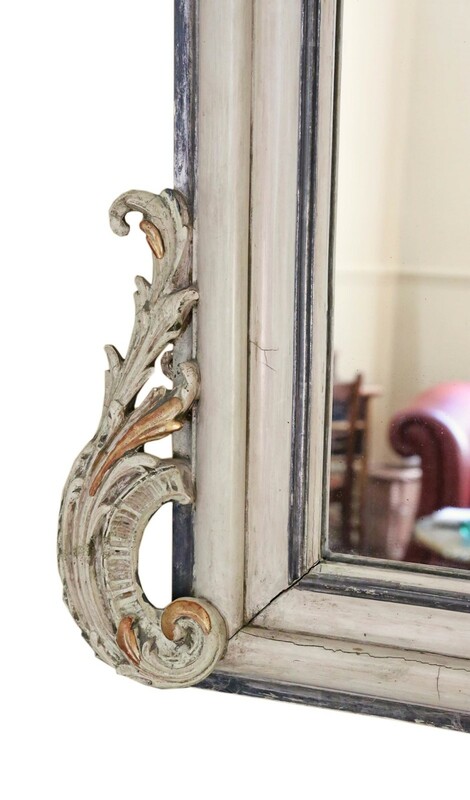 Great patinated frame which has only had minor losses (some charming aging and cracking to the finishes) over the years and looks great. No woodworm. 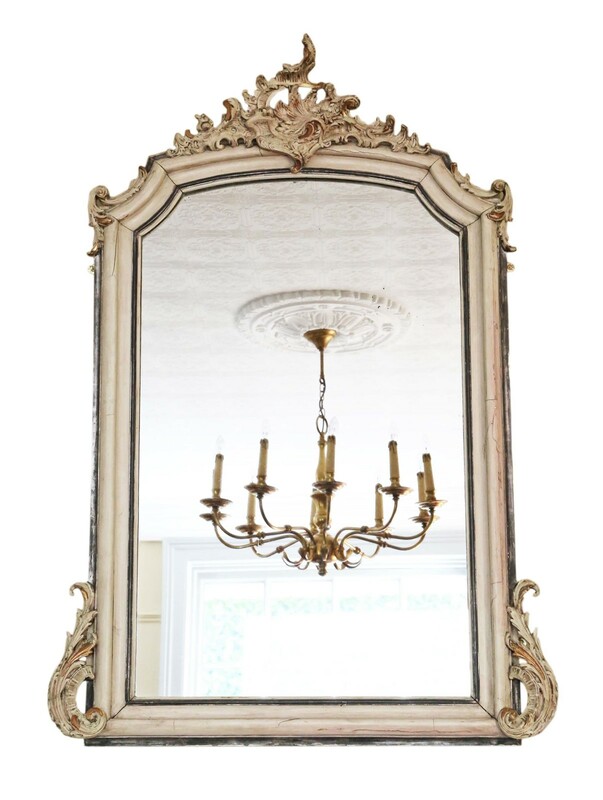 An impressive and rare find, that would look amazing in the right location. Light oxidation to the mirrored glass and a clear reflected image. Overall maximum dimensions: 135cmH x 93cmW x 13cmD. Mirrored glass (max) size 100cmH x 61cmW. 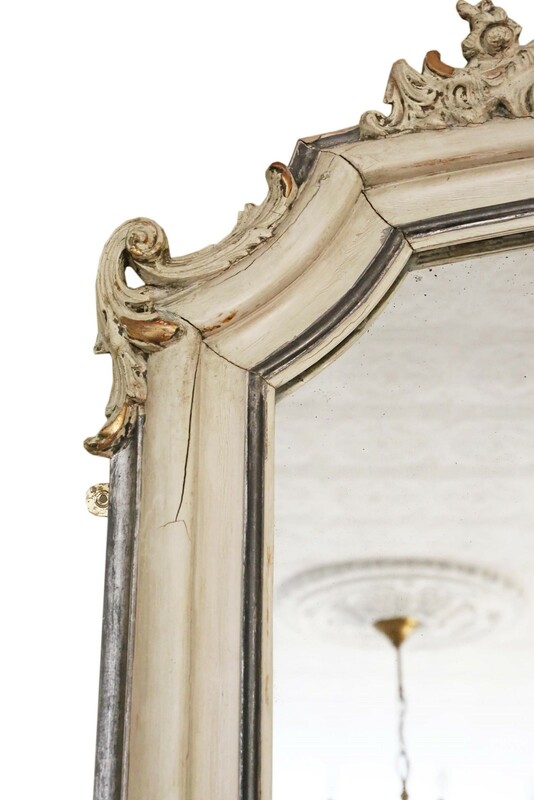 Historic knocks, marks, cracks, scratches, wear, imperfections, repairs and alterations, as is to be expected with antique furniture. 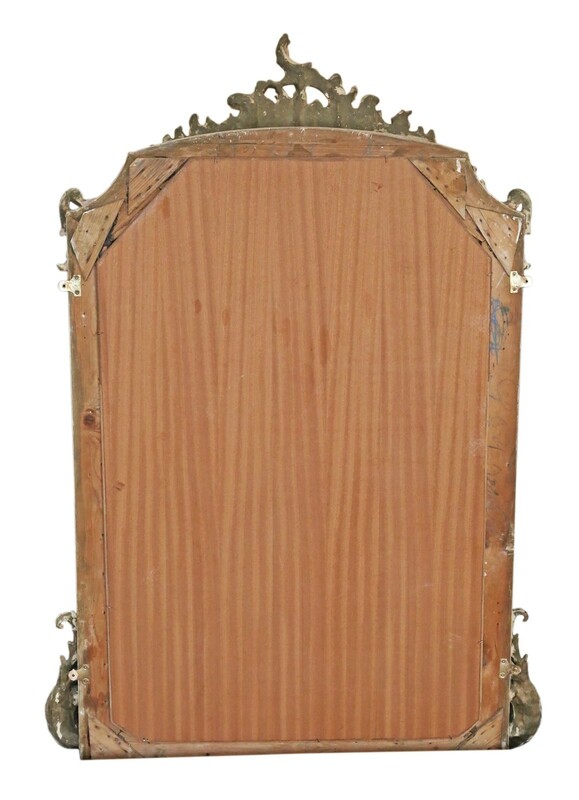 Later plywood back.